Online. On-Demand. But Not On Their Own. With workforce demands increasing, it has become more difficult for employees to set aside time to focus on career development. Employees follow the path of least resistance, and gravitate toward solutions that are quick and easy. As a result, informal options (social and on-demand learning) account for the bulk of employees’ development. Stories are the most efficient way of storing, retrieving and conveying information. Since stories require active participation from the listener, they are the most profound social form of human interaction, communication and learning. Every day, we use our senses and observation skills to interact with people. Touch, smell, sight, hearing and taste provide powerful ways for us to understand and navigate daily. Formal, classroom training is number one. According to the LinkedIn 2017 Workplace Learning Report, 78 percent of respondents said that this is the way their employees learn. “Sit back, relax and enjoy the show,” goes the old movie trailer maxim. But, like learning professionals, creators of visual media have long struggled to eliminate the passivity of the viewing experience. Perspectives and expertise for the learning leader. After a golf lesson, my handicap dropped from 11 to 5. One piano lesson prepared me for the recital. I participated in a sales bootcamp, and now I’m trained and ready to hit the streets. Whenever we learn, our brain changes. One powerful way to change our brains is learning by doing, or experiential learning. Experiential learning is the process of learning through experience. It’s been around since about 350 B.C. when Aristotle wrote in the Nicomachean Ethics, "for the things we have to learn before we can do them, we learn by doing them." 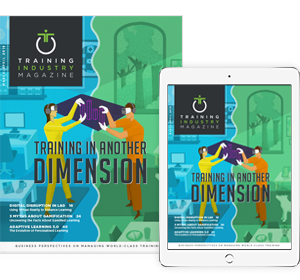 Roughly 90 percent of the design efforts associated with training remain event focused. How can this be? Experiential learning, or learning by doing, amplifies knowledge retention by putting the learner in the center of the action – whether in the context of the workflow, a virtual simulation or working through a game-based learning scenario.